Click here to read our interview with Celino! 9:30 First Booths SOLD OUT! Celin, Pepe, Celino (Celin’s son) and Lito (Angel’s son) Romero endear themselves to audiences worldwide. 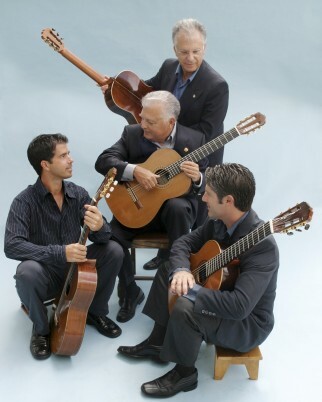 Important additions to the guitar repertoire have been written for The Romeros by Rodrigo and Torroba, among others. Their voluminous discography spans the repertoire from the earliest composers to those of today’s masters including the Romeros’ own works.